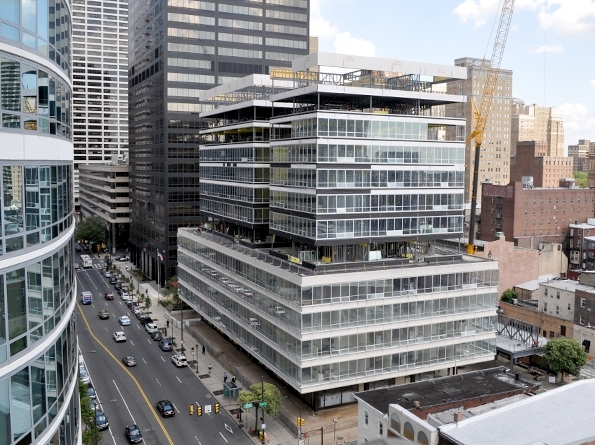 Shoring up the AAA Mid-Atlantic Headquarters Building, Philadelphia, PA.
Superior Scaffold was called in to provide heavy-duty shoring for the New AAA building conversion into apartments. 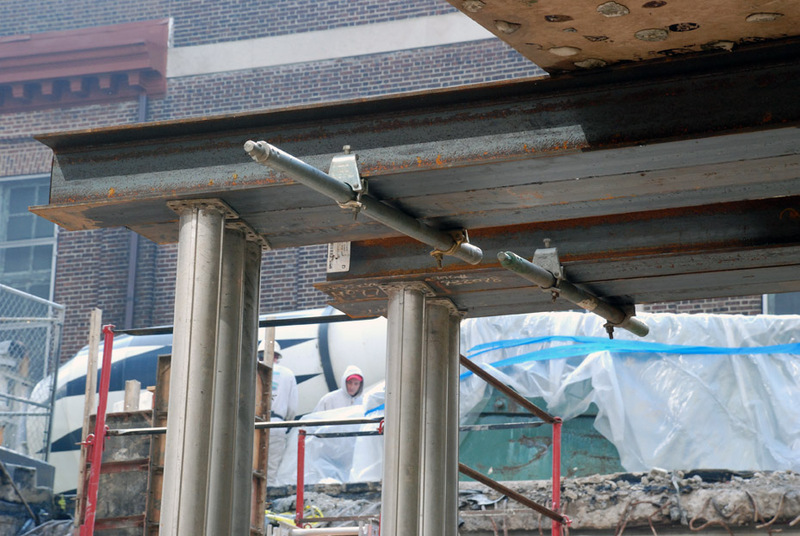 And when we say heavy duty, we mean it. The design for this 4 story building calls for adding an additional 8 FLOORS!!! Wow. 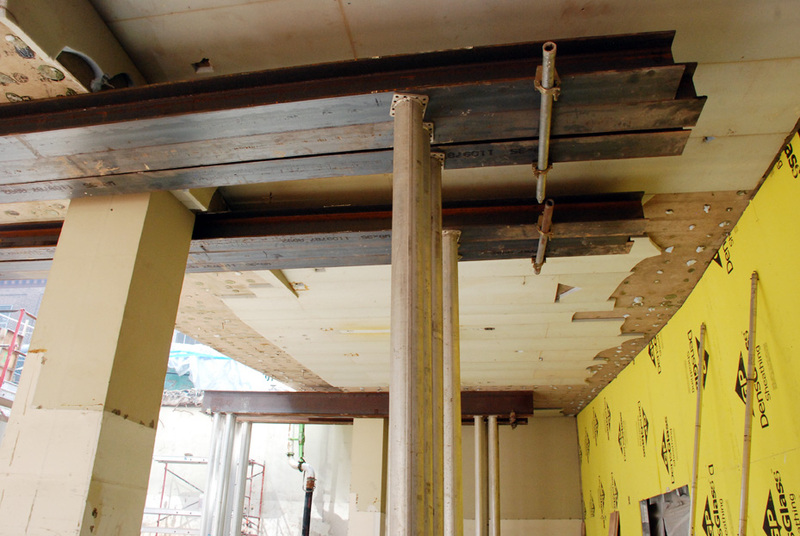 PCM Property Group and their architects Stephen Varenhorst Architects needed the best in the business when they had to shore up the existing structure, remove the old columns and replace them with new, even larger supports. 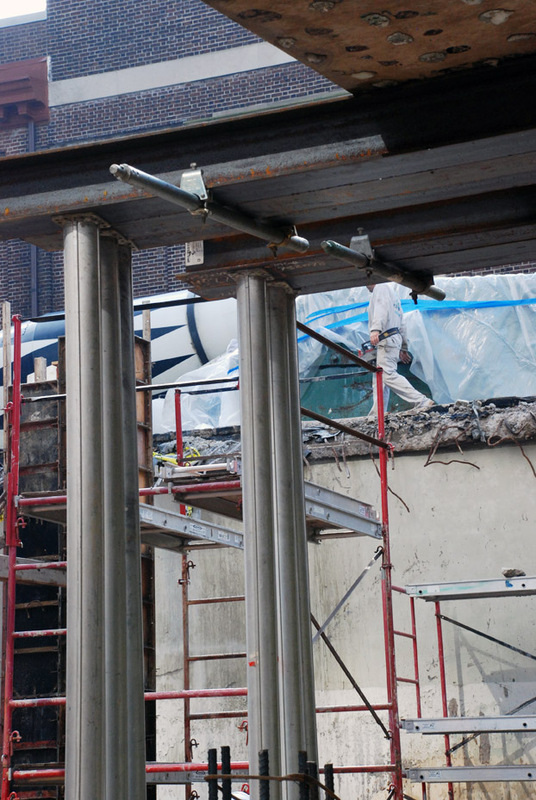 Superior salesman, Anthony Pini, worked with PCM to design a custom solution using heavy-duty kip shores that would allow enough room for crews to work in and around each column. Most of the pics show at least a 25 Kip (25,000 Lb) load capability. 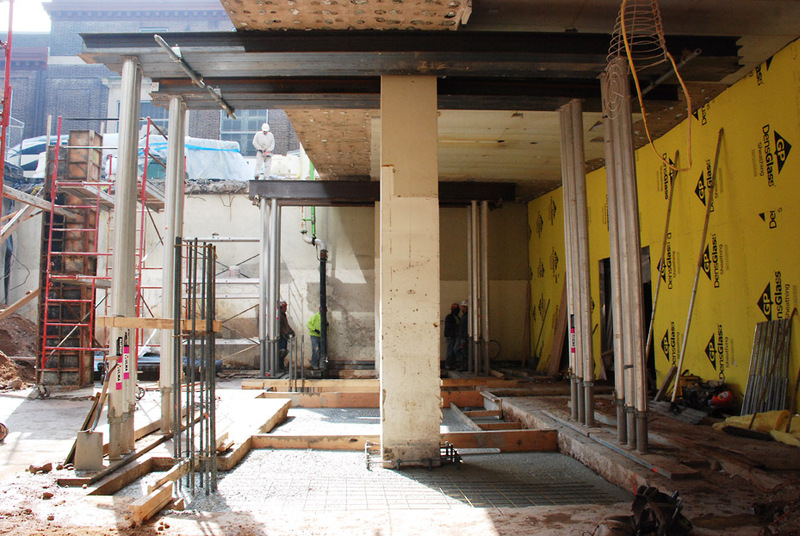 You can see where crews set up to pour new heavy duty footers and Superior gave them plenty of room while still shoring up the floor above. 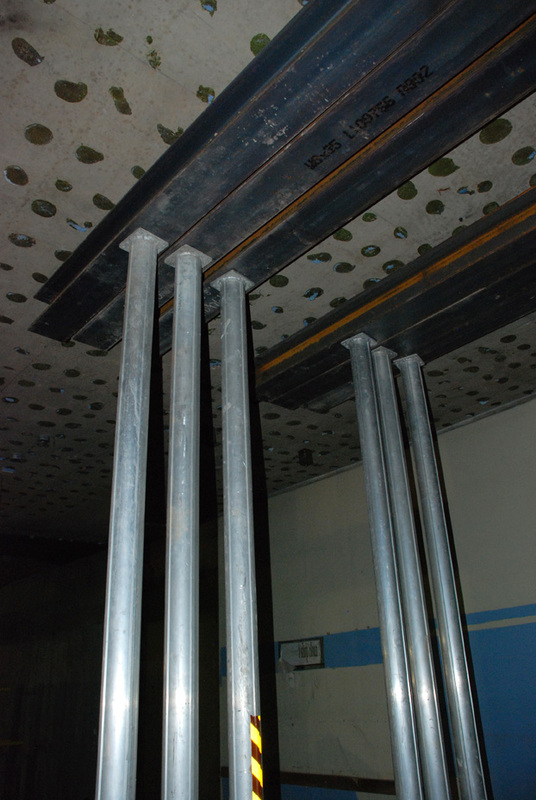 Think about that for a second… That means that the ENTIRE weight of the building is being supported by our steel beams and shoring columns. Sounds wonderful, and hey, we always accommodate… So after several site changes we settled on a solution and put it into place. 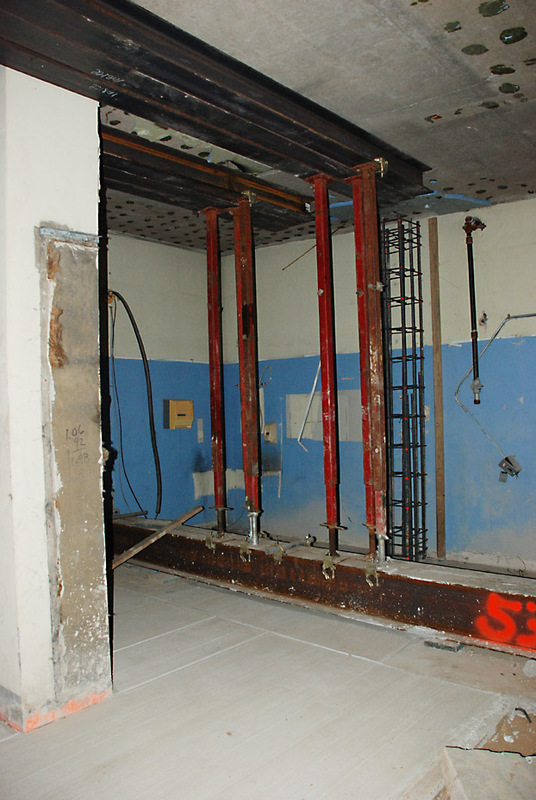 We shored up the entire building while the new, stronger, larger, more incredible ones were poured to support the additional 8 floors that were about to be added on top of the structure. We rocked. It rocked. Everything was a huge (and I mean huge) success. 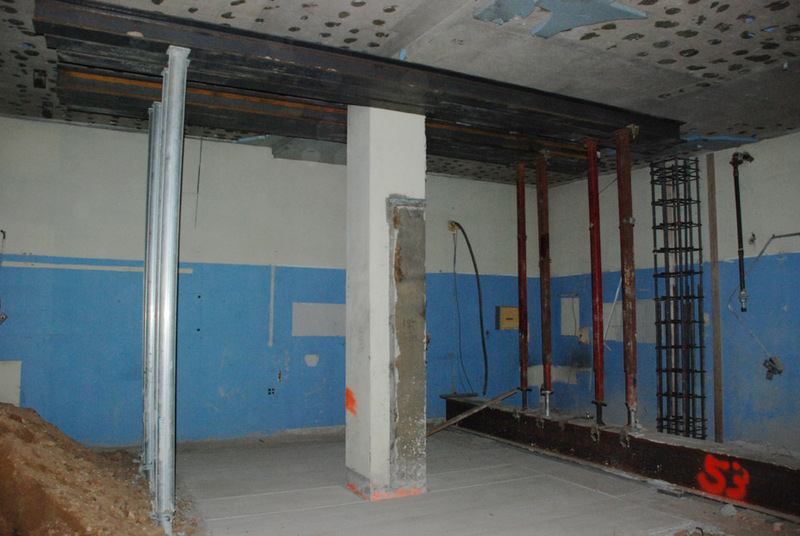 Several sections needed shoring; the larger exposed areas that where going to be modified to handle the new structure above, and then the smaller sections tucked back in the lower floors. 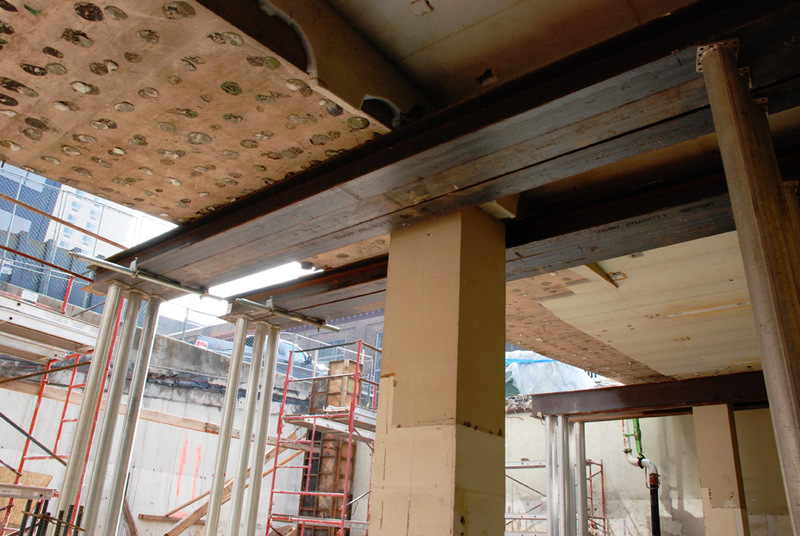 Superior provided shoring support for both areas. When it’s all said and done this building will have 282 units and will be the largest number of new apartments in the past two years. 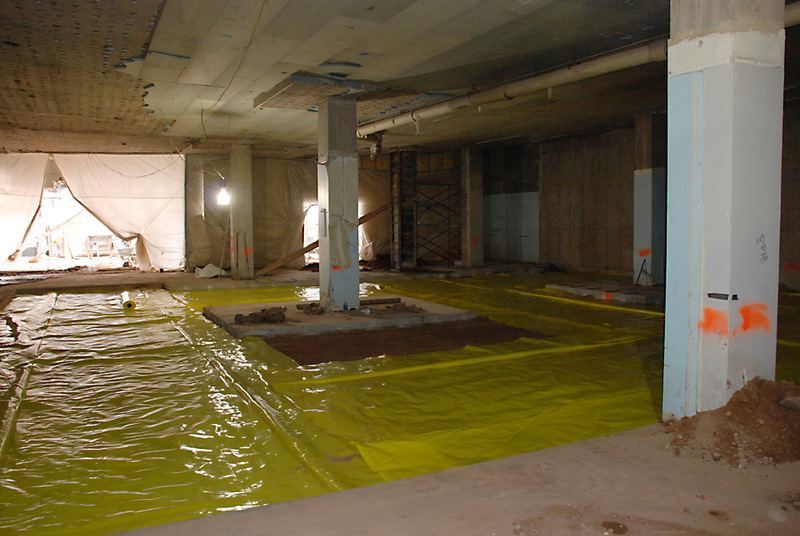 It will also increase the square footage from 120K to 300K. To read more click on the following links. 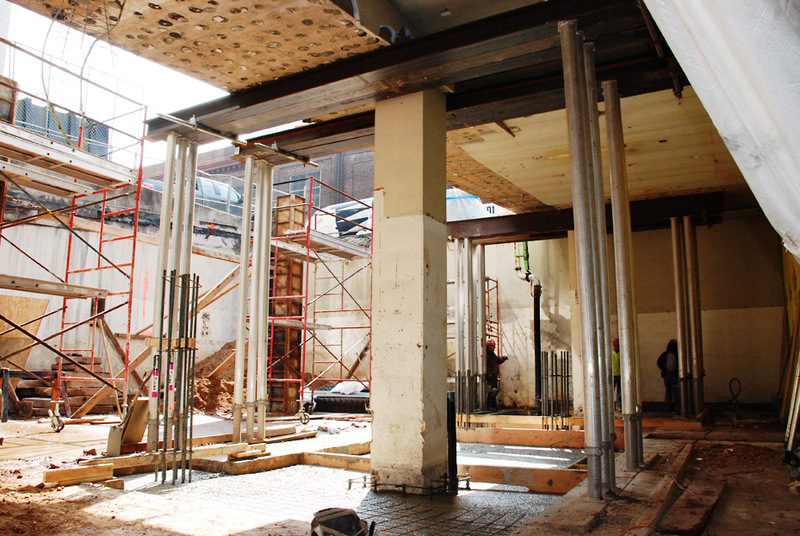 Posted on October 24, 2012, in News & Updates, Shoring and tagged 215 743-2200, DE, facebook, MD, New Jersey, NJ, PA, philadelphia, scaffold, scaffold rental, scaffolding, scaffolding rental, shoring, shoring contractor, shoring rental, twitter, www.superiorscaffold.com, youtube. Bookmark the permalink. Leave a comment.